Some of my clients want to ‘fast-track’ their journey to success, recognising that having me as part of their team can dramatically escalate their business to the next level. Think about this. How much do you think it would cost you to employ someone of my calibre as a member of your team? It would be a significant investment, but this way you get all the benefit but at a fraction of the cost. I will make it my business to understand you and your company, and then I will bring all my years of experience and knowledge into play in order to support you and your team to deliver better results and fast. Seeking improvements in your business and/or its deliverability for you. Prepared to make a reasonable financial investment to deliver the results you desire. Looking to take action as soon as possible. If the above applies to you then congratulations you qualify for the next phase, being a no obligation application process! Just click on the ‘Count Me In’ button to move to the next level. After you have completed a very basic information request, you will be directed to a short application requiring some basic information about you and your company. All details are of course treated in strictest confidence. Assuming all is OK with the application you will be invited to undertake a ‘discovery’ call with me, so that I get to know about you and the business. If I feel I can help you we will discuss the most appropriate next steps and, if you are in agreement, the exciting bit starts! The type of help you can expect is defined by you and your personal aims and goals, and I shall be versatile to ensure I deliver both what you want and what ultimately you need. Quick wins can be gained in respect of various business elements such as increased profit margins, greater turnover, improved sales plus lead generation and personal or key staff development. Delivered by way of ‘Power Hour’ packages where we connect online for targeted sessions on specific challenges, projects or defined areas of focus. BIG WINS can be achieved in terms of your business profit, sales and marketing success, customer retention and/or personal goals with a business audit. I shall immerse myself in your business for up to 3 days initially. Then I stand back, review my observations, and considering your goals at all times I shall create a business report that leads to a bespoke action plan for you. BIG becomes BIGGER WINS if we both decide to forge a longer term commitment to each other building on the previous success and driving forward towards more profit, controlled growth and an increasingly happier you. 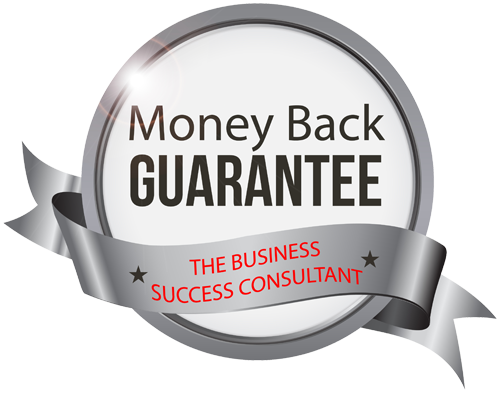 Oh, and because I know your satisfaction is assured because you will get so much value from what I bring, most of the bespoke services are covered under my money back guarantee making it a complete ‘no brainer’. So what are you waiting for? To avoid disappointment and see if you qualify click the ‘Count Me In!’ button now.